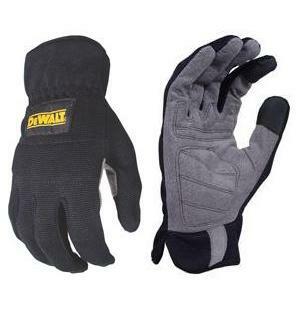 DeWalt DPG218 Gloves RapidFit Slip On are form fitting, easy on and off, abrasion resistant gloves. They have a reinforced index finger and thumb for better grip and control and a reinforced palm with foam pad backing that provides added durability. Short slip-on cuff for easy on and off. Lightweight, breathable material allows for a cooler, comfortable fit. Foam padded knuckle guard provides moderate impact resistance. Suggested uses: Light Material Handling, Hand Tools. Available in Medium, Large and X-Large.